The longest Czech river is 430 km long. It has a 28,090 km² river basin, of which 27,006.7 km² lie within the Czech Republic. The Vltava has two tributaries. It primary one is named Teplá Vltava (Warm Vltava). It springs forth in Šumava (Bohemian Forest), on the eastern slope of Černá Hora (Black Mountain), at an altitude of 1,172 metres above sea level. 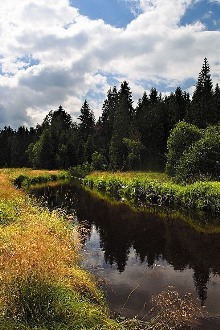 For the first few kilometres the stream is named Černý Potok (Black Stream). After the village of Borová Lada it assumes the name Teplá Vltava. The second tributary is the so-called Studená Vltava (Cold Vltava), springing forth in Bavaria and crossing the Czech border at the village of Haidmühle. After the confluence of the Teplá and Studená Vltava near the village of Chlum in the Mrtvý Luh (Dead Meadow) region, the river is called only Vltava. 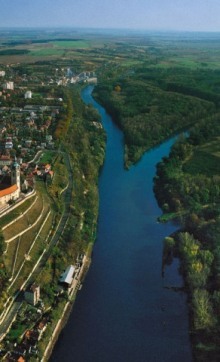 The larger tributaries of the Vltava, in addition to many smaller brooks and streams, include the Malše, Lužnice, Otava, Sázava, and Berounka Rivers. 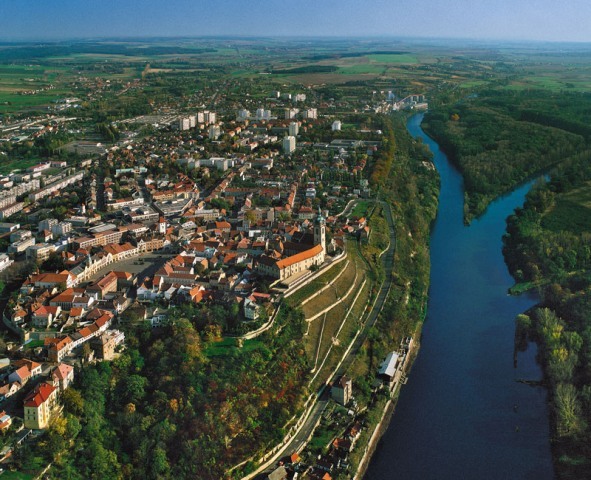 At the town of Mělník, at an altitude of 156 metres above sea level, the Vltava flows into the Labe (Elbe) River, which after flowing through Germany empties into the North Sea. Although the Vltava, at its confluence with the Labe, is mightier and its length, as compared with the Labe, is longer, the river is named Elbe (Labe) from this point on. The reason apparent illogical geographical naming is that the Labe river basin is almost twice as large. The origin of the name Vltava has been explained, since the time of Josef Dobrovský, as being a derivative of the German word wilth, which means torrential or wild, (German: wild) and the word ahwa, which means water or current or river.